In Homepass, you can manage Visibility for your places. 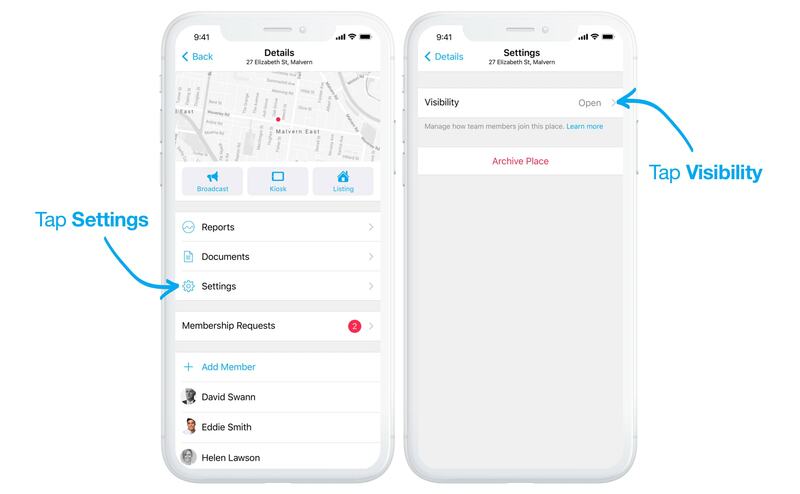 Visibility controls how your team becomes members of a place. 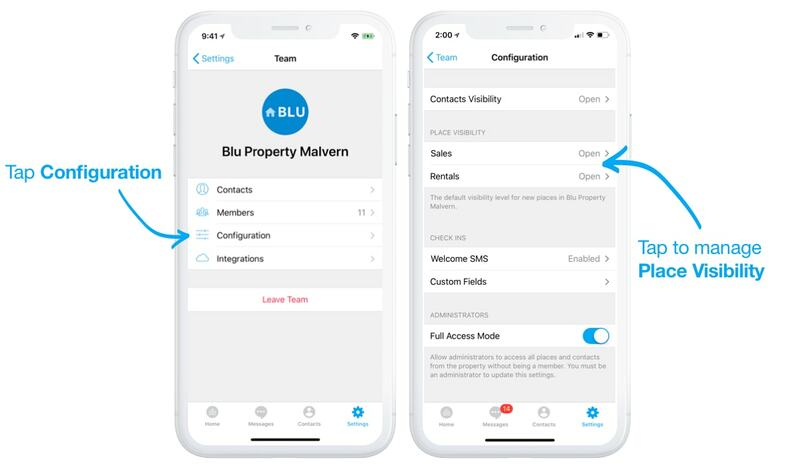 The default visibility of all places in your team can be configured via Team Settings. Simply tap Configuration, then adjust Place Visibility for Sales or Rentals. Note this setting simply changes the ˆdefault visibility for new places. 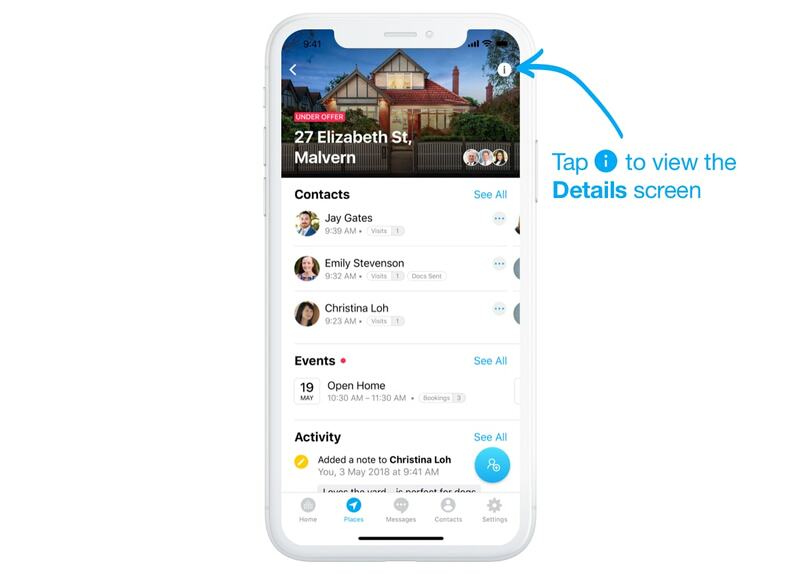 It won't affect current places, and members can always adjust the visibility of their own places. To view or change an individual place's visibility, tap the info button to view the Details page. Here, tap Settings then Visibility. Most teams with private places also restrict contact visibility. Learn more.